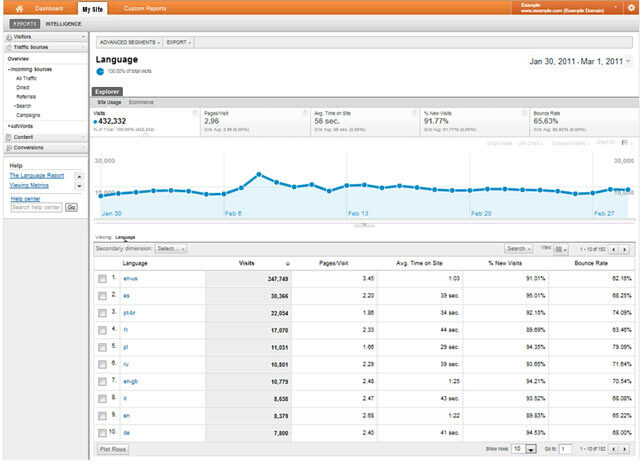 Last Wednesday, Google released a new and improved version of Google Analytics for all current Analytics users. The upgraded product has now a faster performance and a streamlined UI and it also packs a lot of improved an new functionality. Users will have the ability to create multiple dashboards (a maximum of 20 per user), with each dashboard containing up to 12 widgets. They can also set interaction goals such as for tracking and optimizing file downloads or video views, graph and compare certain meterics over time and toggle between multiple profiles and sites while focusing on one report. As of now Google Analytics users can switch from using the old version to the new version, and vice versa. Google is still working on the product and the team is collecting feedback to prepare for more new features in the future. These other features include exporting reports to PDF, emailing reports, migrating reports from old Analytics to new Analytics, linking new AdWords and AdSense accounts to Analytics, email scheduling and In-Page Analytics. The goal for the new version is to make it easier and faster for users to grab the data that they want, and as well as to enhance the Google Analytics platform to bring major new functionality.